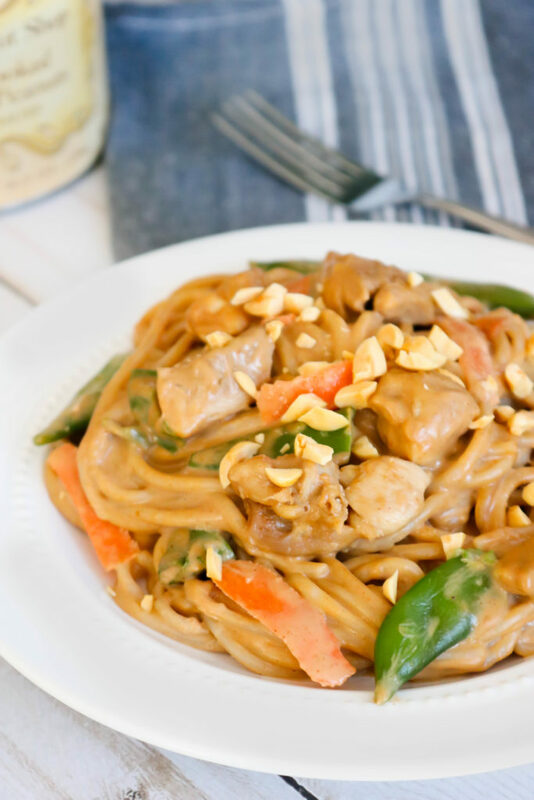 These Chicken Thai Peanut Butter Noodles are perfect for a weeknight dinner! These tasty noodles are coated in a delicious peanut butter sauce and tossed together with chicken, sugar snap peas, carrot slices and brown rice noodles! 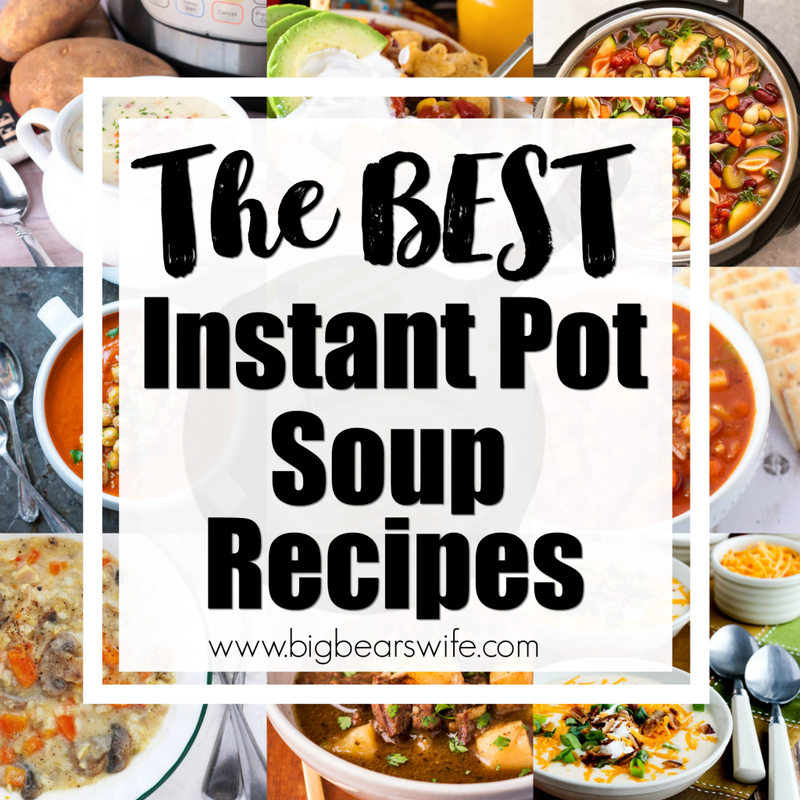 It’s easy to throw together but to make it even faster by using chopped rotisserie chicken in this recipe! I got my first real taste of good Thai food when we were in Hawaii for our anniversary in 2014. It was our first night out in Waikiki, we were exhausted after traveling all day and settled on the first restaurant we came too. It just so happened to be Keo’s Thai Cuisine (before they closed their doors for good in March of that year) and it was love at first bite. I think about all of the good food we had in Hawaii a lot, so homemade versions like this seem to make an appearance quite often. This version is my adapted version of the Spicy Thai Noodles and Chicken recipe in the Heart Smart Magazine March 2019 Issue. I love it! 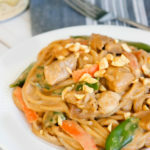 What do I need to make Chicken Thai Peanut Butter Noodles? What noodles should I use? 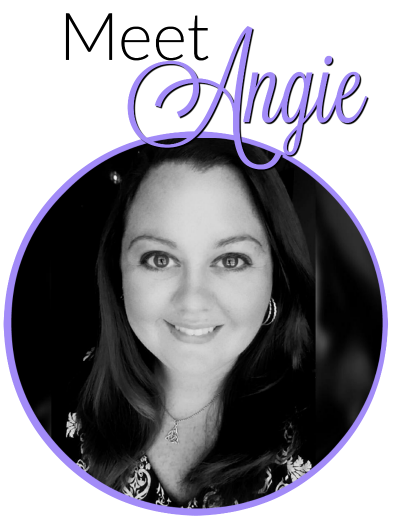 I’ve seen Thai Peanut Butter noodles recipes using Yaki-Soba noodles, angel hair pasta, linguine, Asian rice noodles and spaghetti. If you live in a big city, you probably have the option to go to an Asian market or you might even have a better Asian selection at your local grocery store. 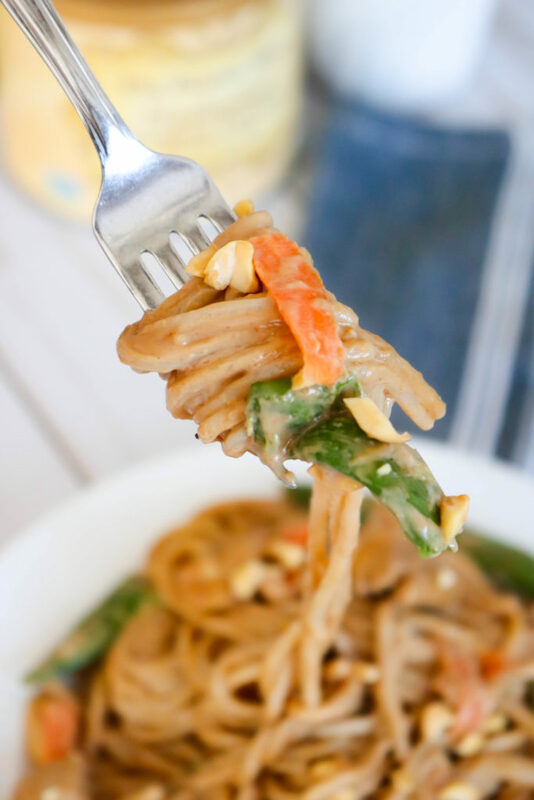 Here in our little city it can be hit or miss with finding things like Asian rice noodles so I use Spaghetti or ramen noodles when I make Chicken Thai Peanut Butter Noodles at home. These are the noodles I have been currently using. 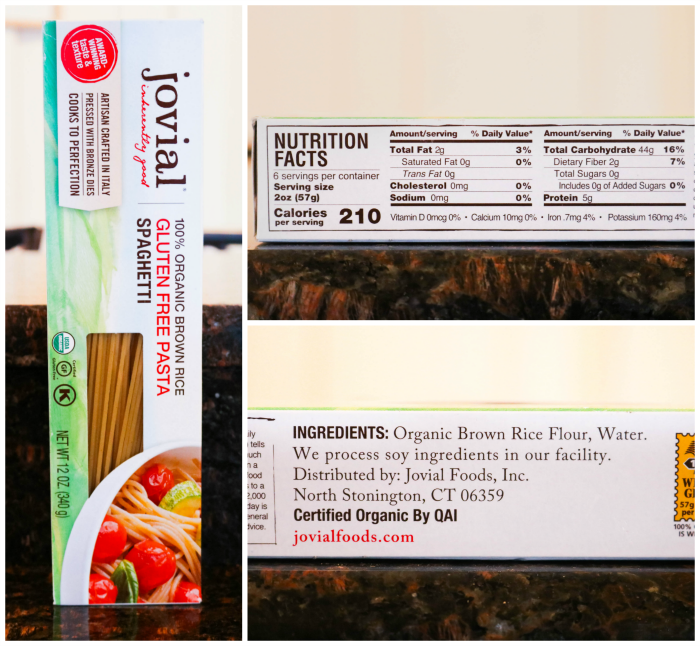 This is NOT SPONSORED, but I wanted to show you the noodles I’ve found and what their nutrition facts are. I normally use about 6 ounces (1/2 of the box) when I make this recipe and that give me 4 servings of Chicken Thai Peanut Butter Noodles. 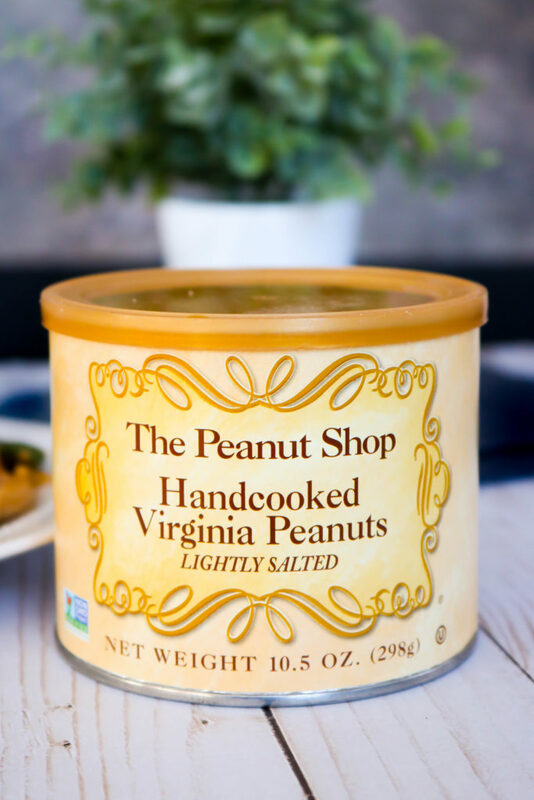 I’ve also been using these Virginia peanuts lately, again not sponsored, but I wanted to tell you about them because they’re pretty good and I’ve been using them in the kitchen a lot lately. They have a little bit of salt on them but only a tiny bit unlike some of the peanuts that you buy in the grocery store that are covered in salt. I got these from The Peanut Shop in Colonial Willimasburg in Virginia. 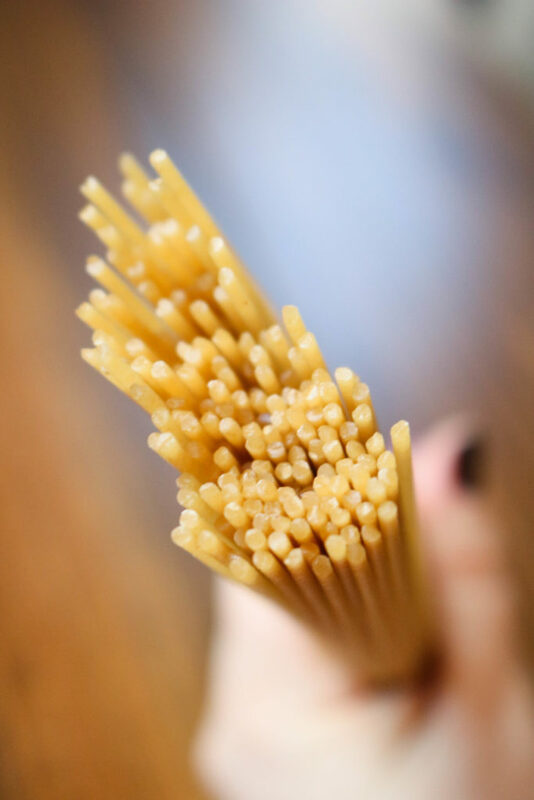 Can I use Different noodles? You can! 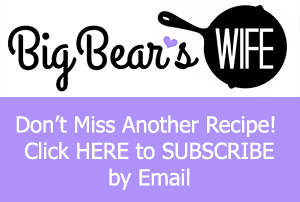 I just like using the brown rice noodles because I don’t feel boated after I eat them but you could use regular spaghetti, Asian Rice Noodles, Ramen, or even spiralized vegetable noodles like zucchini noodles. I don’t like sugar snap peas or carrots. Can I use something different? Sure! Try adding red and yellow peppers! I love peanut butter sauce and want a lot! Can I just double the sauce recipe? 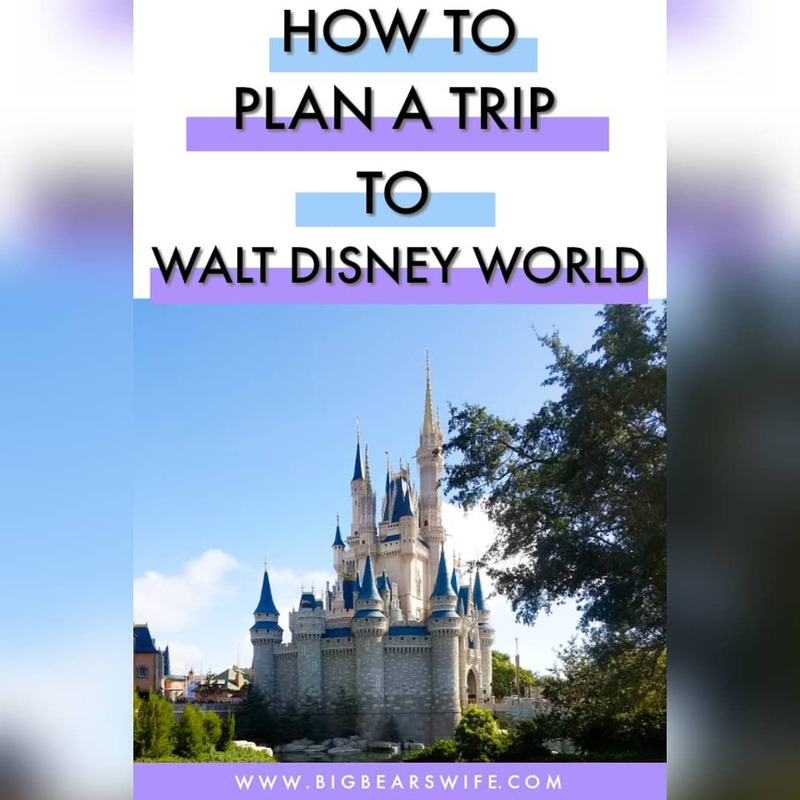 You sure can! That’s how I like mine too. I went to reheat this and it’s super thick. What can I do? Save some of the pasta water and add a little to it before heating it back up. If you already tossed the pasta water I would make another batch of peanut sauce and add it too it after heating the noodles. 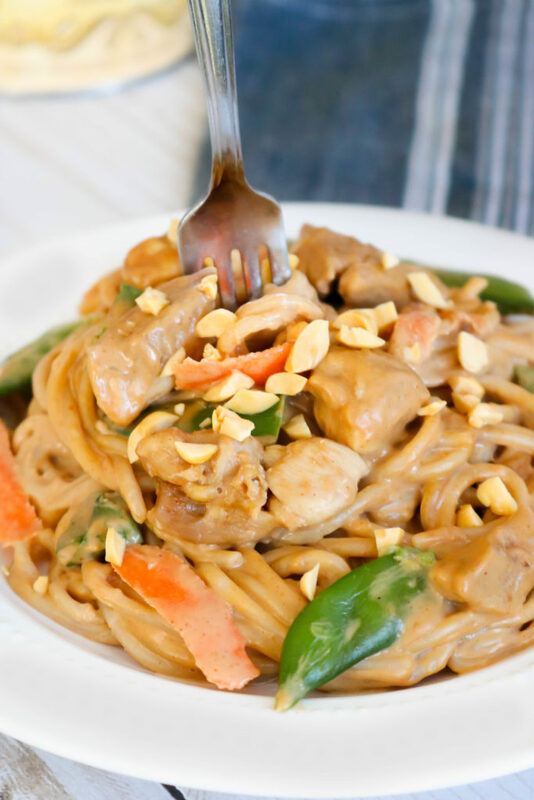 These Chicken Thai Peanut Butter Noodles are perfect for a weeknight dinner! 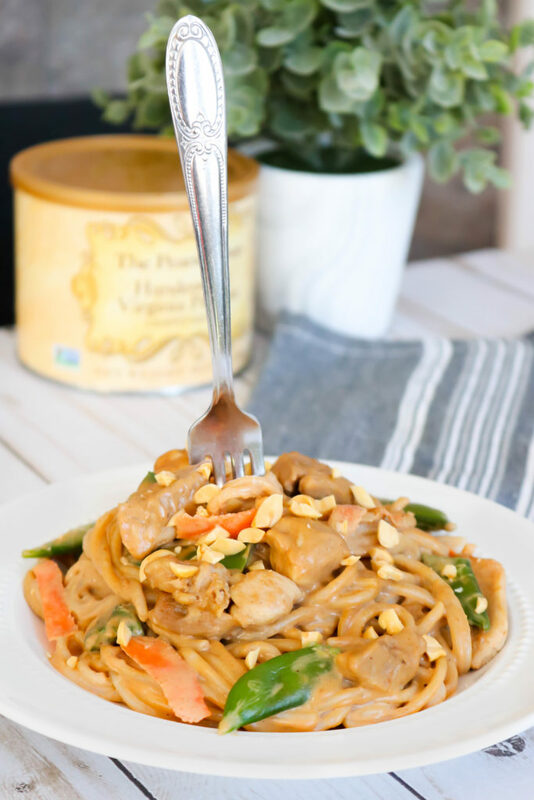 These tasty noodles are coated in a delicious peanut butter sauce and tossed together with chicken, sugar snap peas, carrot slices and brown rice noodles! 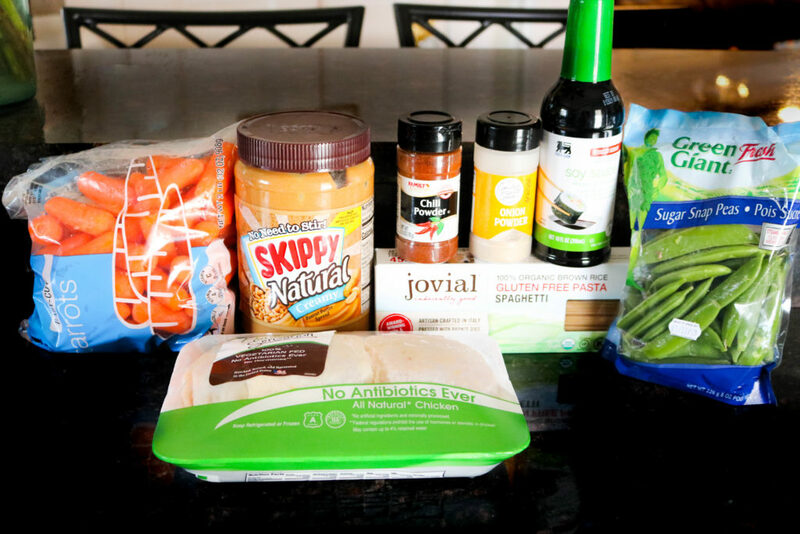 It's easy to throw together but to make it even faster by using chopped rotisserie chicken in this recipe! In a large pot, cook the noodles according to package directions (with no salt). 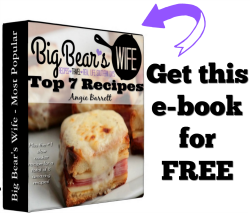 Reserve 1 cup of pasta water, drain pasta and set aside. While noodles are boiling, cut chicken into small bite size pieces. Heat olive oil over medium heat in a large skillet. Add chicken and cook 6-7 minutes or until done and no longer pink. Add carrot peels and sugar snap peas to the hot skillet. Cook and stir, 3-5 minutes or until tender and hot. In a small bowl, combine peanut butter, soy sauce, onion powder and chili powder. Whisk to combine. Add chicken and noodles to skillet with peas and carrots. If sauce is too thick, pour in a bit of the reserved pasta water to thin it out.